I don't like the standing pose. The dark armor and dark skin blend together. The rest of the paint job is sloppy as well. This a very good pirate leader. Well sculpted, bland colors. This is a great figure. The pose is solid, enough details and a quality prepaintjob. Good for a mean pirate and would also work great as a achetypical sword and sorcery mercenary. Five stars. 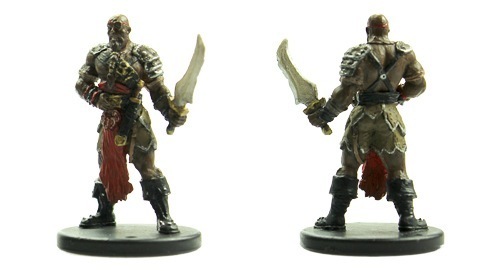 Sign in to start a discussion about Pathfinder Battles—Skull & Shackles: Barnabas Harrigan!